HexCam have been running RPAS (remotely piloted aircraft system) flight training courses using popular quadcopters and octocopters for nearly two years. Elliott Corke, chief drone pilot at HexCam, has a passion for the growing drone industry and uses the courses to promote safe flying, knowledge of drone technology and the positive uses of drone technology. In 2014 the UK drone industry entered a period of exponential growth that doesn’t show any signs of slowing down. 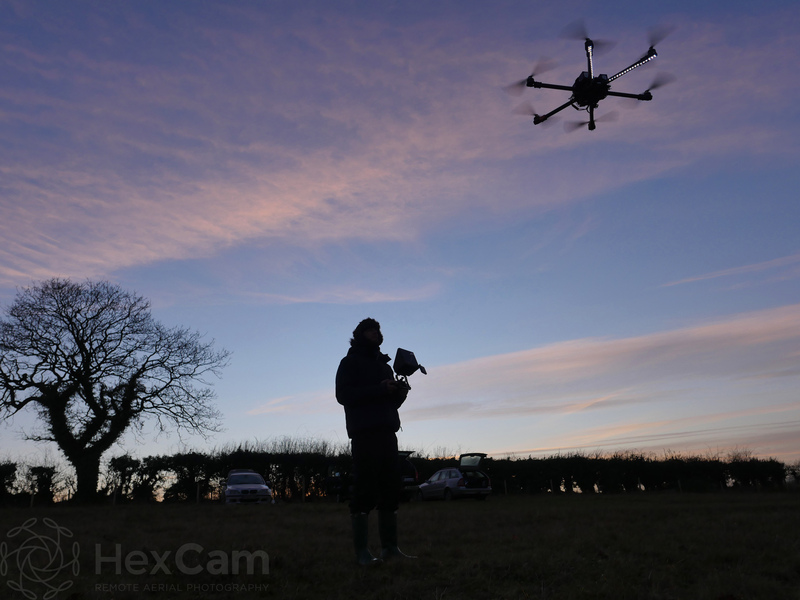 As we enter 2015, HexCam has teamed up with other operators to provide UK-wide coverage for drone aerial filming and photography as well as increased potential for formal flight training at different locations. Elliott believes that niche market development with specialist pilots is the way forwards for the drone industry. Different scenarios require very different flight techniques. Throughout 2015 HexCam and its partners will be developing new courses to suit the needs of the industry, to enable increasingly complex operations and to ensure public safety. HexCam is now part of The Aerial Academy. The Aerial Academy is the first UK Civil Aviation Authority (CAA) restricted NQE. This means we can offer RPAS flight assessments for people who already have existing theoretical knowledge of UK airspace. For more information on drone flight training and qualification please visit the HexCam website. Very interested in enrolling on a 3 day course Elliot – I am in the Arboricultural industry, although not an Arb myself, and wish to help promote my company via drone aerial video and photography, whilst also providing a usp which a lot of other companies in this sector don’t have. Currently flying a Yuneec Typhoon Q500, I need basic qualifications to provide the footage for commercial gain , along with battery maintenance and understanding. Look forward to hearing from you.